SO, earlier this year between January and February during my trip home to New Zealand I managed to catch almost all of the NZ dirt series BMX comps that were held. I took lots of photos and after talking to friends over at ZOMBIEBMX we decided to do a photo journal of the series for semi-local mags (20/20 or Focalpoint, I can’t remember). Unfortunately I went back to Vancouver before the 3rd and final dirt series event and due to a rescheduling over the weather, there was no coverage from ZOMBIEBMX either. Without the 3rd and final event coverage our story wasn’t appealing to the mags and until now my BEST photos from the 2nd comp at Paul Langalnds palace have gone unseen. Seeing as the weather down there is improving and a full blown summer is mere months away I thought I would share those pics with you lot and hopefully inspire you for good things to come in the new year. Enjoy. Jon Riddle is quickly becoming one of the most exciting rider’s in New Zealand at the moment, I always look forward to seeing his edits. 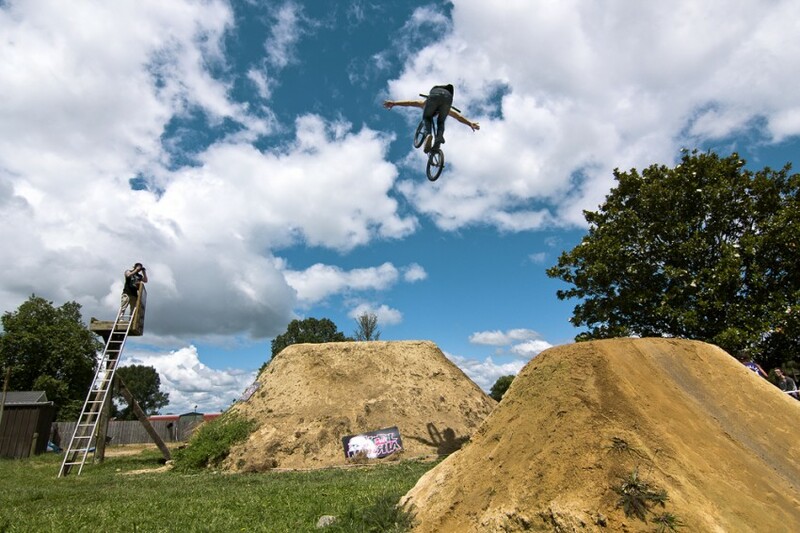 Here is extending a Tuck No-hander over the big jumps almost a year ago now. God only knows what he’s doing over it now. Louis Bolter was on hand that day and getting so hot and bothered by the local talent he had to take a moment to hose himself down. The Bolter brothers are quite a spectacle. 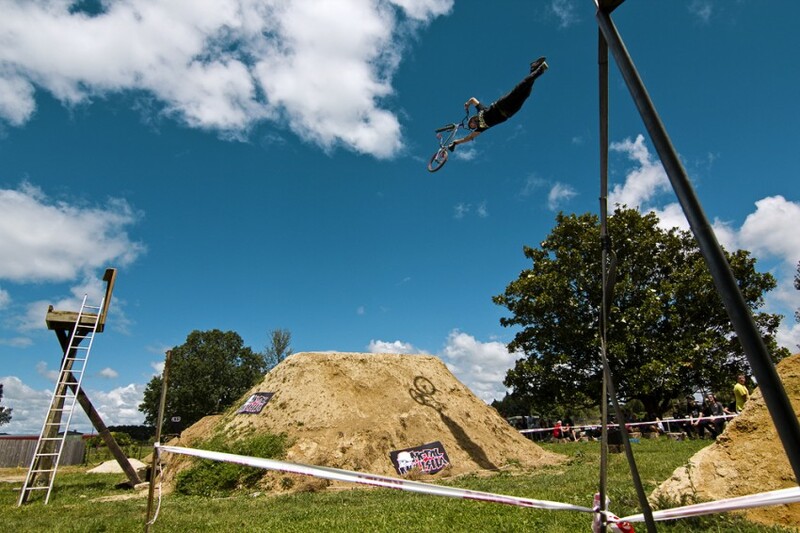 Here’s the other half of the duo, George, throwing his signature steez in a dipped 360 over the 2nd jump. I know we don’t usually post backflips here and this will be the second in this post but I’ve never seen a wilder man than this Billy character. He turned up half way through the day and from the time he first dropped in to the time he limped off home he had people gasping in baited breath and cheering like heathens while he threw down tricks like this Backflip Cliffhanger thingy with blatant disregard for his own safety. M&P salutes you Billy!